Win 1 of 3 Sub-Culture Screen-prints! 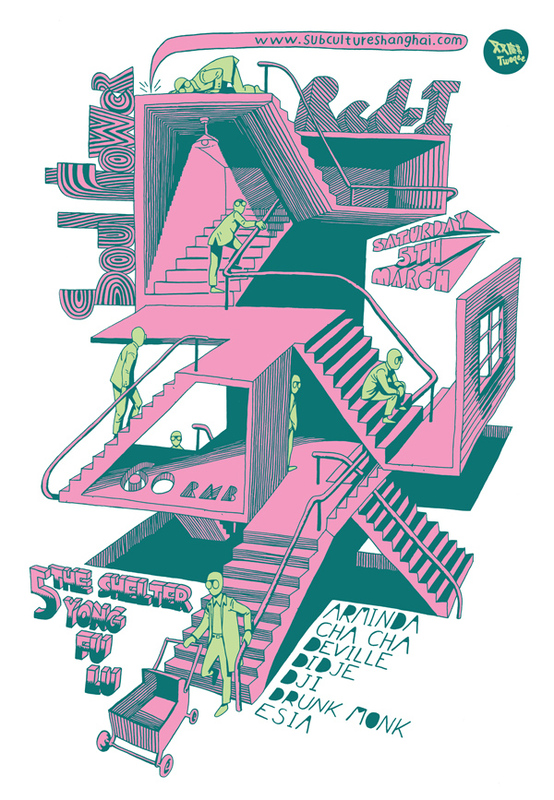 This months Sub-Culture poster was designed by Clemens Reinecke from Germany. Clemens is currently studying painting at HfBK Art School in Dresden, as well as working for Wildsmile-Studio. Check out their bizarre website here – www.wildsmile.de. 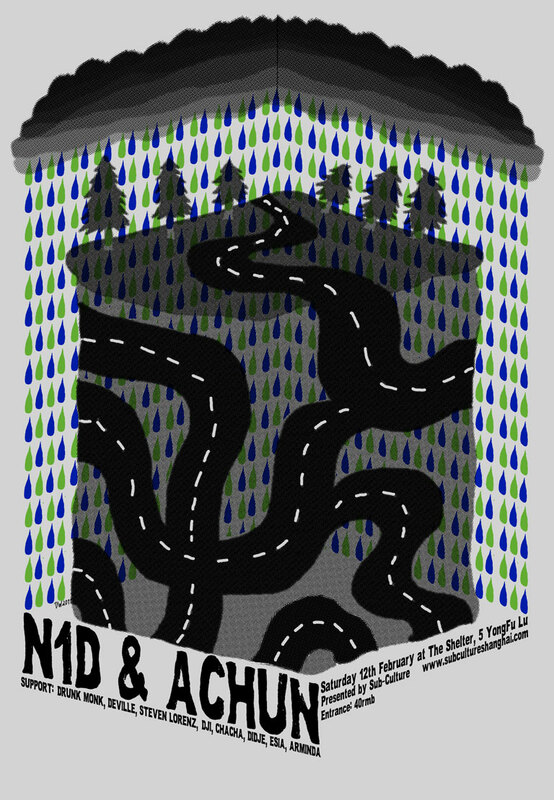 We have 3 hand-silkscreened posters, courtesy of www.idlebeats.com , to give away. To win, all you need to do is send us an email to subcultureshanghai@gmail.com with the words ‘Let the bass rain down!’ in the title. The competition is open worldwide, but please note if you are from outside of China we will ask you to send us the postage costs. 3 winners will be chose at random on Friday afternoon. 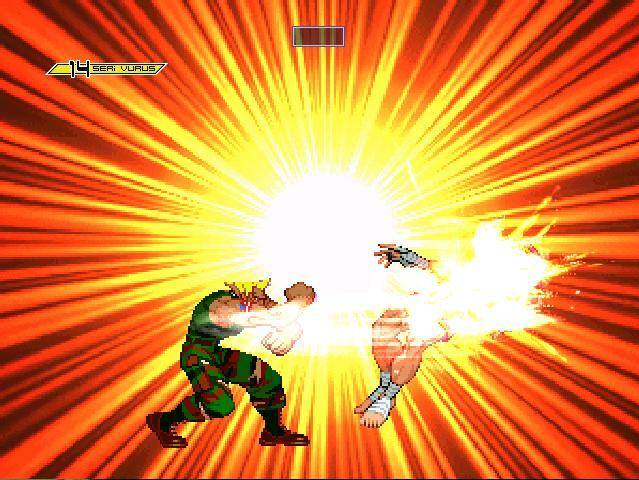 Sonic Boom!!! Tonight’s Line Up! As always, IdleBeats will be at the back of the dancefloor with a nice selection of screen prints for sale, including tonight’s ‘Mr Fish’s Dinner’ print! 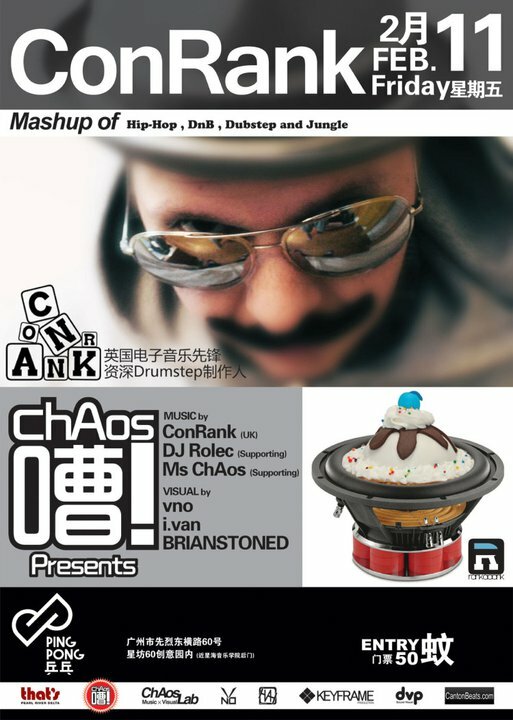 10pm start, 40rmb @ The Shelter – 5 YongFu Lu, near FuXing Lu! Win 1 of 3 signed ‘Mr Fish’s Dinner’ Sub-Culture posters!! 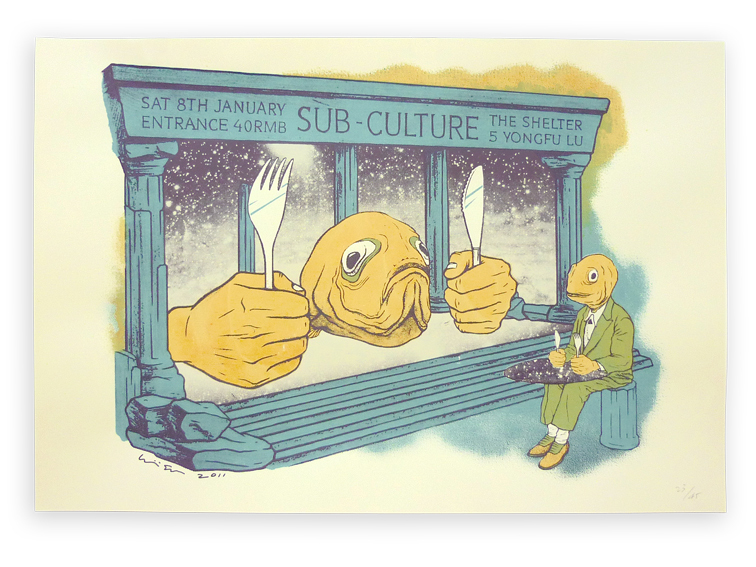 Ok, so we’ve got 3 signed copies of this Saturday’s Sub-Culture poster, entitled Mr Fish’s Dinner, to give away! All you have to do is email us at subcultureshanghai@gmail.com with ‘Mr Fish’s Dinner’ in the title, and on Friday we will pick 3 address’ at random. This competition is open to world-wide entries, but please note we will only pay for postage inside China. If you are from outside China we will ask you to send us the postage costs.